Our line of medium duty casters is excellent for most applications. 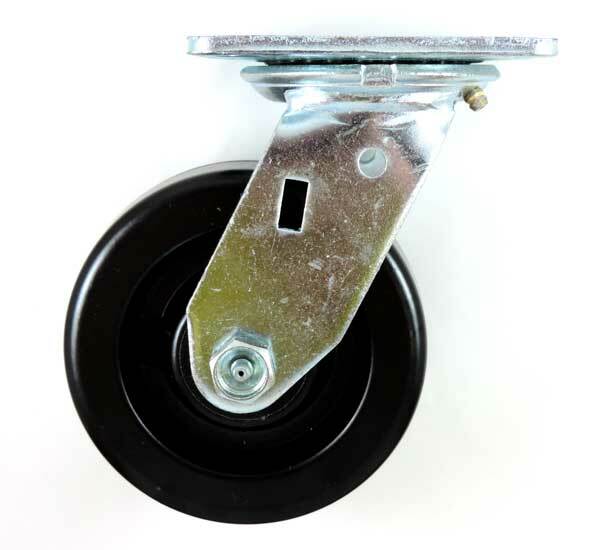 With capacities of up to 1200 lbs per caster, these will last under normal warehouse conditions. Need help in determining what wheel material to choose? Give us a call, we would love to help! 1 What is your caster’s application? What floor surfaces will it be in contact with, how much weight must it support, and how will it mount? 2 Select between light, medium, and heavy duty casters. If your surfaces have any cracks or the casters will incur impact be sure to estimate more capacity. 3 Check your application’s caster mount against your selected caster, some have top plates and some are stem mounted. The bolt hole pattern and stem threads can be different. 4 Any further questions, give us a call! Our expert staff are experienced in helping you decide what casters are right for your application. Copyright © 2019 Minnesota Casters. All Rights Reserved.